This was the poster design for a Fringe Festival show. It is a murder mystery that takes place in Minneapolis. 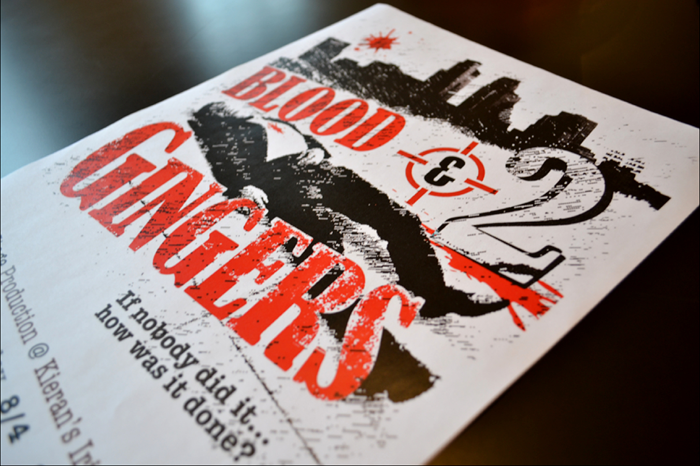 The show was held at Kieran’s Irish Pub and The “2 Gingers” part of the title is part of the mystery and a tip of the hat to Kieran Folliard’s 2 Gingers Irish Whiskey. At the time, 2 Gingers whiskey was unavailable to anyone outside of Folliard’s pubs.